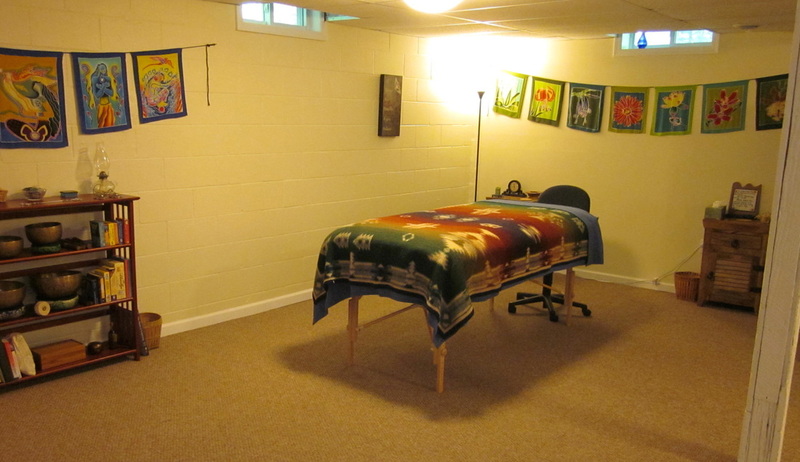 Body-Mind Therapy is an integrative approach to personal growth and healing. It honors and recognizes that body, mind, emotions, and spirit are one inter-connected whole, and that to foster optimum health and healing, it is necessary to work with and address all parts of ourselves. The Body-Mind Therapy work that I offer engages your whole being—body, mind, emotions, and spirit—through hands-on energywork, dialogue, and a range of holistic therapeutic modalities. It helps you learn how to deeply listen to your whole self, and explore how your body, mind, and emotions affect each other. Working in this holistic way fosters deeper and more lasting change by enabling you to reach all the different layers and aspects of your symptoms and concerns, and address previously unrecognized and unexplored elements. It's a powerful, transformational process that can catalyze profound growth and change. Come discover how healing happens by deeply listening to and honoring your whole self! Engages both your mind and body through verbal approaches which combine deep, focused body awareness with facilitated self-observation and reflective listening. Explores and addresses the underlying energetic patterns of your concerns, using Biodynamic Craniosacral Therapy and Polarity Therapy—gentle yet powerful forms of therapeutic bodywork that engage and shift the energies of your body. Uses the power of visualization and imagery to connect with your inner self and to focus healing energy. Visualization and imagery are effective ways to engage the healing power of the mind. Enables you to connect with and shift issues and energies that may otherwise be hard to access. Specific exercises may be used in session or done at home to support your on-going process. Increases your ability to recognize and acknowledge, with kindness and compassion, what is really happening for you in the moment—with your self, your life, your concerns, or your symptoms. Helps you reconnect with and build on the strength, wisdom, health, and deep healing resources that are an inherent part of your whole being. Includes work with grounding, centering, and boundaries. Incorporates a variety of other holistic therapeutic approaches including EFT meridian tapping, Matrix Re-Imprinting, Reference Point Therapy, Internal Family Systems, Inner Relationship Focusing, and Family Constellations. A session may contain one or more of the above components, and may be done sitting in a chair, moving around the room, or lying fully clothed on a bodywork table. We move fluidly between the different components as needed, and each session is unique. The emphasis is on listening to you, honoring your whole being, and working together to explore what you wish to address. In addition, you will learn concrete skills that you can use at home to continue your process of growth and self-discovery.